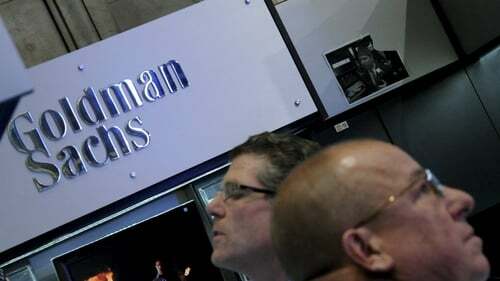 Goldman Sachs Group has beaten quarterly profit estimates as the bank earned more from advising on M&A deals and expenses fell due to lower compensation costs. Total institutional client services, the unit that houses the bank’s trading business, recorded the biggest drop as lower market volatility coupled with the longest US government shutdown hurt equity and bond trading revenue. Trading revenue slipped 18% to $3.61 billion, with equity trading down 24% and fixed income, currency and commodities trading down 11%. JPMorgan Chase & Co on Friday reported a 10% decline in adjusted markets revenue. Its equities revenue, on an adjusted basis fell 13%, while fixed income revenue fell 8%. A prolonged government shutdown at the beginning of the year resulted in skeletal staffing at the US Securities and Exchange commission, resulting in the postponement of several IPOs in the quarter. Goldman's net earnings attributable to common shareholders fell to $2.18 billion, or $5.71 per share, in the quarter ended 31 March, from $2.74 billion, or $6.95 per share, a year ago. Total operating expenses fell 11% to $5.86 billion.